Yah! I got my wife to embrace gun ownership and she's a darn good shot. 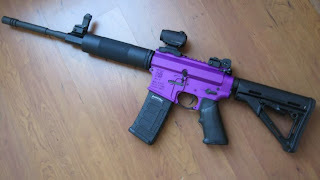 Here is a picture of her AR15 she got three years ago and enjoys shooting it regularly.